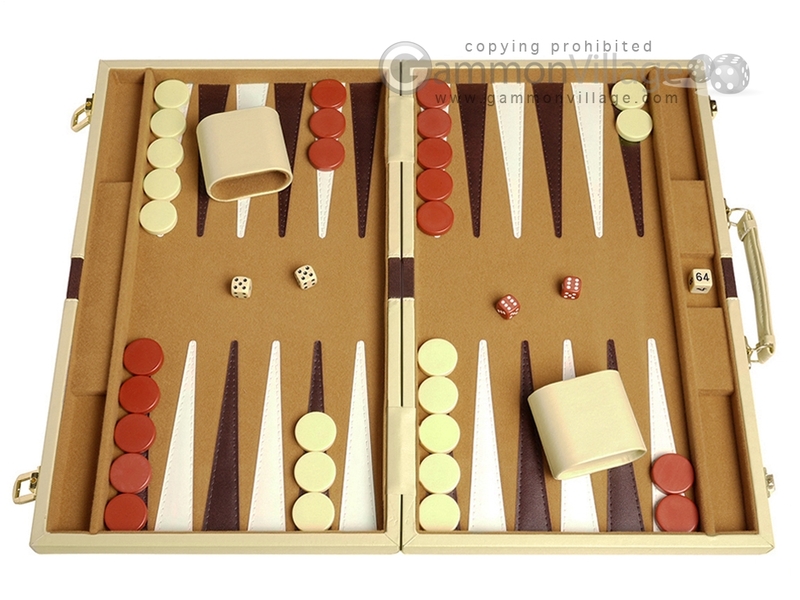 This 18-inch camel backgammon set comes in a stylish leatherette case and features an ultra soft felt playing field. The latches are solid brass. Closed Length: 18" Width: 12" Height: 2"
Open Length: 18" Width: 24" Height: 1"
Page P4790 Copyright © 1999-2019 GammonVillage Inc., USA. All rights reserved.